New look sees injection of colour and more prominence given to red star icon, which has been made the “heart of the identity”. 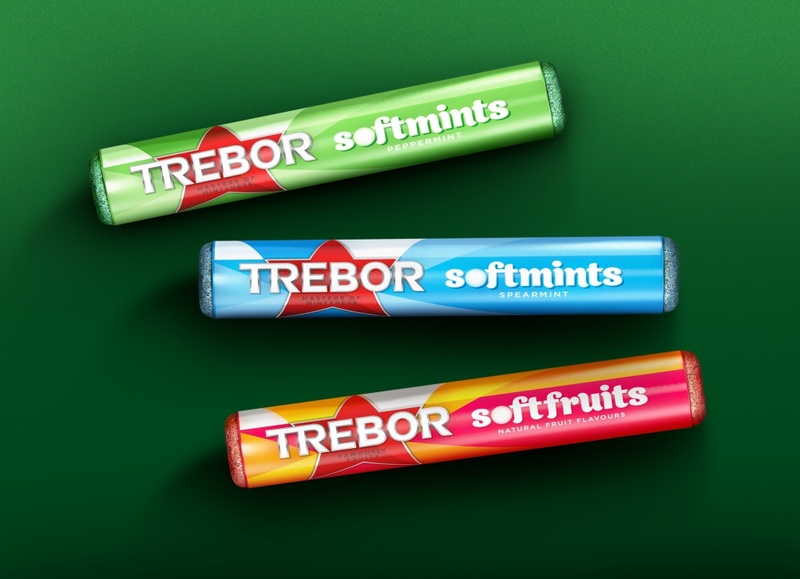 Bulletproof has rebranded Trebor’s mint range, which comprises Extra Strong Mints, Softmints and Soft Fruits. The brand was last updated in 2009, when JKR redesigned it in a bid to appeal to 35- to 55-year-old “lapsed users”. 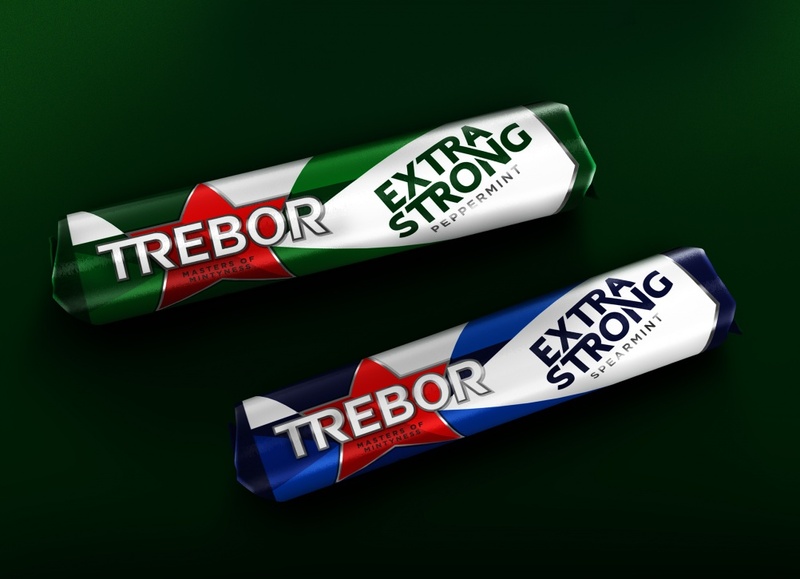 A Bulletproof spokeswoman says that the new look positions the red Trebor star “as the ‘heart’ of the identity”. Colourful shards which dissipate from the star represent flavours and textures such as “smooth and hard, soft and chewy, minty and fruity,” she says. Bulletproof says it began the project by looking at the essence of the brand, which it sees as irreverent and honest – a brand that makes consumers “live boldly, unapologetically and with a sense of fun”. 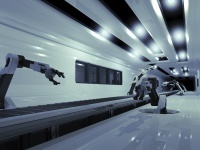 It has looked to translate this brand essence into a new visual language and target consumers with a look they will find “striking and believable”. “Masters of Mintyness” appears as a strapline across the Extra Strong Mints and Softmints products, while the Natural Fruit flavour Softmints read: “Famously Fruity”. 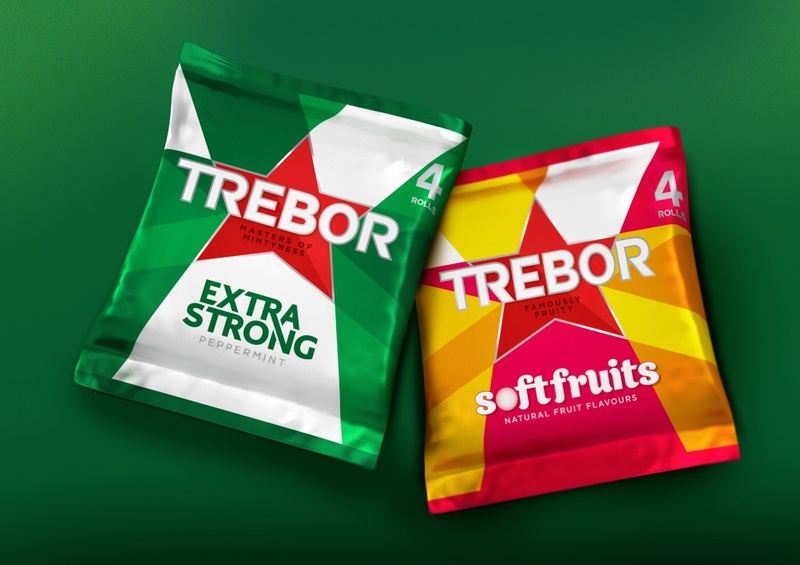 Trebor is a Mondelez International brand and Bulletproof has previously worked with other brands in the Mondelez portfolio such as Cadbury.